Cloudy early with peeks of sunshine expected late. High 62F. Winds SSW at 5 to 10 mph..
St. John's Lutheran Ministries administrator Karna Rhodes, left, and CEO David Trost, center, with Shane Walk of Mountain Plains Equity Group, pictured Tuesday. A low-income housing project planned for the St. John's campus was announced as the recipient of $8 million in federal tax credits as part of a Montana affordable housing initiative. The sun sets behind a sign at the entrance to St. John's Lutheran Ministries at Rimrock Road and Shiloh Road on Nov. 20, 2018. St. John’s Lutheran Ministries is building a new $10.5 million, 54-unit housing complex for low-income senior citizens on its Billings campus. The three-story complex project will get $8 million in federal low-income housing tax credits, Montana Gov. Steve Bullock announced Tuesday. The governor detailed a total of $30.6 million in federal tax credits to be allocated to five Montana communities to preserve or construct new affordable housing. “Montana families thrive when they have a safe and affordable place to call home, and our economy continues to grow when we are able to house a productive workforce, while creating hundreds of construction jobs," Bullock said. Federal housing credits allow developers to borrow less money for construction and pass those savings along to people through lower rent. Federal tax credits fund the construction or rehabilitation of approximately 220 rental homes each year. During the past five years they have created an annual average of approximately 608 jobs, $27.3 million in local wages and more than $2.4 million in new taxes and revenues for local governments, the governor said. 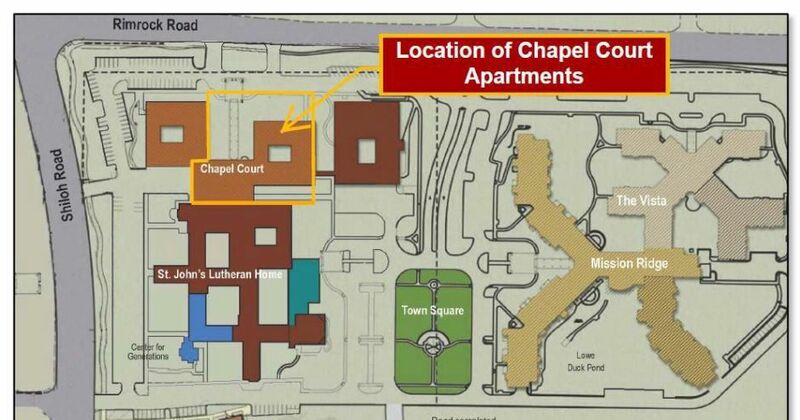 At St. Johns, the new independent living complex will replace one of the three oldest retirement wings in Chapel Court on Rimrock Road at the corner of Shiloh Road. The two older wings will continue to provide housing, said David Trost, CEO at St. John’s. “No one will be displaced from our St. John’s community as a result of this project,” he added. St. John’s expects to break ground in May or June of 2019 and possibly be ready to open by fall of 2020. St. John’s has partnered with Mountain Plains Equity Group which will be co-developer of the project. The gap between the federal tax credits and total project costs will be covered by foundation grants, additional fundraising, and permanent financing, Trost said. Havre: Oakwood Village received $3,881,250 for acquisition and rehabilitation to preserve 60 units for families. Total project investment of $7,716,755 will result in 100 Montana jobs earning $4.5 million in wages and salaries supported by construction activity. Developer: Affiliated Developers. Helena: Red Alder received $7,790,000 for a new construction project of 37 units for families. Total project investment of $8,268,072 will result in 111 Montana jobs earning $5 million in wages and salaries supported by construction activity. Developer: RMDC & GLD. Ronan: Meadowlark Vista received $4,182,970 for a new construction project of 24 units for families. Total project investment of $5,594,894 will result in 75 Montana jobs earning $3.4 million in wages and salaries supported by construction activity. Developer: RCAC. Whitefish: Whitefish HA-HW Project received $6,750,000 for a new construction project of 38 units for families. Total project investment of $8,708,814 will result in 117 Montana jobs earning $5.2 million in wages and salaries supported by construction activity. Developer: Homeword Inc.
After narrowing down the applications to eight finalists, the governor-appointed Montana Board of Housing voted on the final allocation at a public meeting Monday. The Montana Board of Housing is part of Montana Housing at the Department of Commerce.